Detailed Solutions of Quant, English, Reasoning and General Awareness Section. 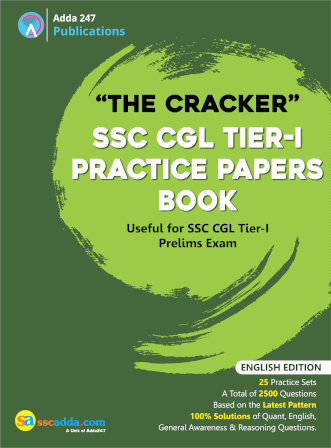 The Cracker SSC CGL Tier 1 Practice Papers Book (In English Printed Edition) is incorporated with efficient Paper Sets encompassing bunches of Questions based on latest exam followed by SSC in recent years pattern and hence prepare you to face real exam level difficulties to eradicate all your doubts clearing the concepts to an extensive level to its readers. This is the golden time to practice with a trustworthy book edition by ADDA247 instead of chopping and changing for the various sources. 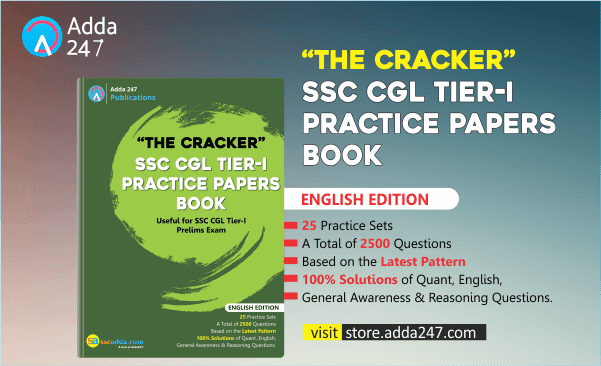 Click here to buy The Cracker SSC CGL Tier 1 Practice Papers Book ( In English Printed Edition) available on adda247 store. Wish you all the best for all the upcoming govt. exams.